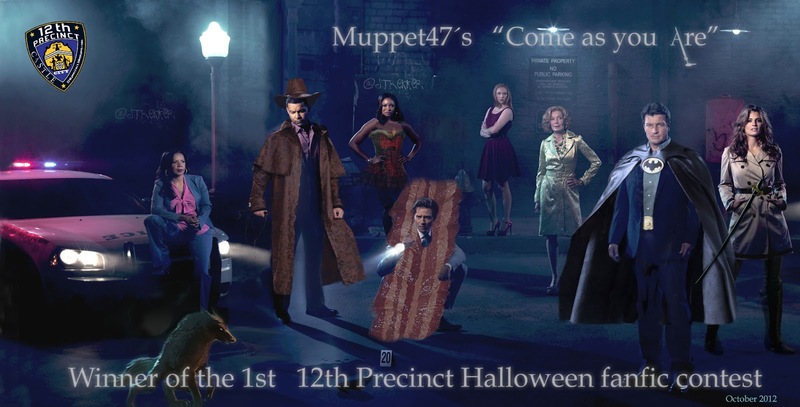 Our winner for the 12th Precinct Halloween fanfiction competition has chosen and claimed her prize. She got both, a digital edition and will get a printed version of the graphic she chose mailed to her. She allowed us to share with you, so here it is! It was a blast making this, and i was laughing all the time while picturing them all coming to the crime scene like that!! Enjoy guys...and if you are planning to do anything else besides looking at this on your screen, credit us!